Keep your lis­ten­ers’ at­ten­tion while read­ing aloud. The host an­nounces the next au­thor. She walks to the lectern, of­fers a syn­op­sis, and be­gins read­ing aloud. 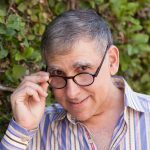 It’s not bad prose—and I can’t say that for every writer here—but after three pages of pref­ace and an­other six of chap­ter one, I fan­ta­size about ring­ing a gong and ap­proach­ing the stage with a shep­herd’s crook. I pre­tend to look in­ter­ested and en­gaged, but that train jumped the track ten min­utes ago. How can this well crafted writ­ing be­come such an anes­thetic when read aloud? Ac­cord­ing to Read­ing­Soft, the av­er­age adult reads prose text at 250 to 300 words per minute. The best read­ers con­sume over 1000. In its guide to read­ing aloud, The Sci­ence Fic­tion and Fan­tasy Writ­ers of Amer­ica sug­gests that 150 words per minute is a suit­able pace for read­ing aloud. In other words, the best and most ef­fi­cient way to trans­fer ideas from au­thor to reader is by dis­trib­ut­ing printed words on paper. If you want to share text ex­actly as you wrote it, hand out printed copies. Why read aloud if au­di­ence mem­bers can con­sume your work faster and focus on it more deeply on paper? Though writ­ers don’t usu­ally dis­play their text on a screen, pro­fes­sional pre­sen­ters have lessons to share. The sin­gle worst mis­take a pre­sen­ter can make is to read text ver­ba­tim from a Pow­er­Point slide. The au­di­ence will silently read the text at a much faster pace than the pre­sen­ter read­ing aloud. The pre­sen­ter be­comes an in­ter­rupter—a com­plete back­fire. The re­la­tion­ship be­tween a pre­sen­ter and the ma­te­r­ial being pre­sented sug­gests op­por­tu­ni­ties to in­crease au­di­ence en­gage­ment when read­ing aloud. In­stead of pre­sent­ing the first 15 pages of your book, con­sider read­ing a hand­ful of your fa­vorite pas­sages. Just as the slides in a busi­ness pre­sen­ta­tion pro­gres­sively re­veal bul­let points as the pre­sen­ter elab­o­rates on de­tails, the most in­spired el­e­ments of your story—ex­cerpts that can stand alone with­out char­ac­ter in­tro­duc­tions and knowl­edge of the plot—can offer pow­er­ful win­dows into larger top­ics, set­tings, sit­u­a­tions, and themes. Give your lis­ten­ers dots to con­nect and they’ll give you their at­ten­tion. Books con­tain back­story, sub-plots, char­ac­ter in­tro­duc­tions, and con­nect­ing ma­te­r­ial re­quired to keep the story mov­ing. In­stead of try­ing to build a foun­da­tion for a story in front of an au­di­ence, take your fa­vorite bits and cut out the “func­tional” ma­te­r­ial that ties these pas­sages to the larger book. Elim­i­nate any un­nec­es­sary di­a­logue or de­scrip­tion. Abridge your writ­ing to build a bridge to your au­di­ence; they’ll buy the long ver­sion if you can get them in­ter­ested enough. Pre­sent a char­ac­ter. Share a snip­pet of di­a­logue. De­scribe a scene. Share an ex­pe­ri­ence. In­stead of telling the whole story, in­spire lis­ten­ers to want to read more. After 3-5 min­utes, your au­di­ence’s focus will begin to wan­der. If you have 15 min­utes to pre­sent, share four 3-minute vi­gnettes with pauses be­tween them. Re­mem­ber Char­lie Brown’s teacher in Charles Schultz’s Peanuts car­toons? “Wa-wah-wa-wa-wah-wah-wah.” Dron­ing speech is bor­ing, unin­spir­ing, and ir­ri­tat­ing—even if your book is not. 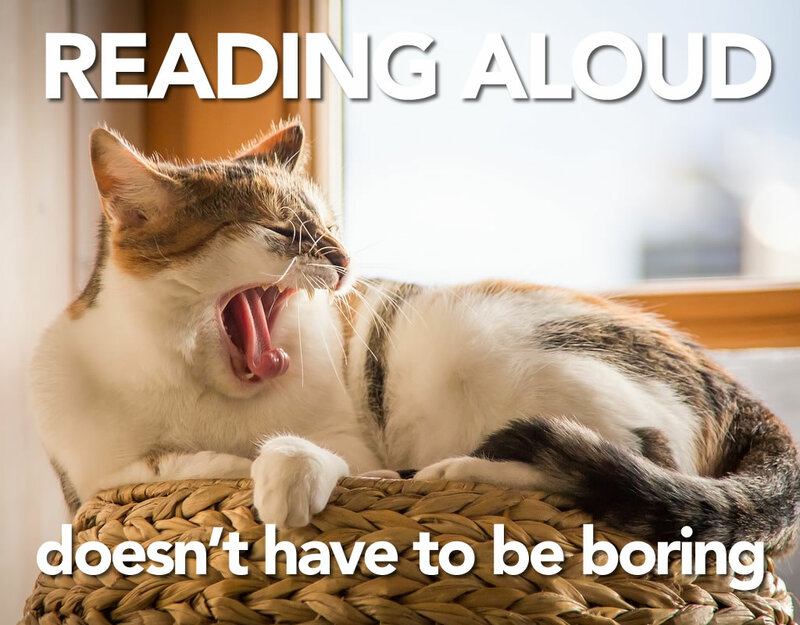 Read­ing aloud doesn’t have to be tor­tur­ous or dull. Pace your­self. Build in­ten­sity. Let pow­er­ful pas­sages ring. Iso­late po­tent phrases be­tween lit­tle walls of si­lence. Cre­ate con­trast with loud and soft pas­sages. Even when read­ing from a paper, look di­rectly at your au­di­ence when­ever you get a chance to pause. Eye con­tact lets lis­ten­ers know you are ac­tively en­gag­ing them. Build a re­la­tion­ship with your au­di­ence. Live pre­sen­ta­tion of­fers an op­por­tu­nity to share as­pects of a book that don’t make it into the print edi­tion. Con­sider dis­play­ing a se­ries of im­ages that com­ple­ment your read­ing. Maps re­veal in­sights into set­tings. Are your char­ac­ters real-life peo­ple? Show pho­tographs of them. If your book is nonfic­tion, offer quotes, sta­tis­tics, charts, and other infograph­ics that en­hance the im­pact of your pre­sen­ta­tion. Craft a pre­sen­ta­tion or image loop. If your book takes place in Spain or Harlem, con­sider adding a fla­menco or jazz sound­track be­hind your read­ing. Added media re­in­force your speak­ing and help au­di­ences focus by en­gag­ing more of their senses. And if you’re a per­former, noth­ing moves au­di­ences like live music. Of my clients, the ones who sell mean­ing­ful quan­ti­ties of books are those who speak pro­fes­sion­ally. One sold 1000 books at a sin­gle speak­ing event. Speak­ers build re­la­tion­ships with au­di­ence mem­bers and sign au­to­graphs in the back of the room after keynote ad­dresses and train­ing ses­sions. Au­thors with mes­sages to share find speak­ing busi­ness, con­tract and con­sult­ing work, and op­por­tu­ni­ties to en­gage, in­spire, ed­u­cate, and change lives. Book sales bring aux­il­iary in­come; the prod­uct is you. Se­lect the most po­tent pas­sages from your writ­ing. Dis­till your pas­sages down to their pure essence by elim­i­nat­ing any con­tent that doesn’t ab­si­tively poso­lut­ley have to be in­cluded. Get a timer ap­pli­ca­tion for your com­puter or use an on­line one. Prac­tice read­ing slowly and dy­nam­i­cally. If you exceed five min­utes, try cut­ting more ma­te­r­ial. Jour­nal­ists and news ed­i­tors deal with word count re­quire­ments every day; you can learn to say what you want to say in x words or less. Add notes to your text to re­mind your­self where to pause, or bring the in­ten­sity up or down. Or use red and blue mark­ers to in­di­cate “hot” and “cold” phrases. Try giv­ing your pre­sen­ta­tion to friends, ei­ther in-per­son or on­line via video-chat. Use maps, im­ages, sta­tis­tics, etc. that com­ple­ment your writ­ten pas­sages. Up­load to your fa­vorite image shar­ing site, in­cor­po­rate them into an album, and run them as a slide show. Choose read­ing en­vi­ron­ments with good light­ing, pro­fes­sional sound sys­tems, and few dis­trac­tions. Read­ing aloud can re­duce the best of writ­ing to a dron­ing, so­porific dirge, or el­e­vate it to high per­for­mance art. Au­thors learn to write well with time and prac­tice. The art of elo­cu­tion is like­wise a learn­able skill worth adding to your pub­lish­ing tool­box.